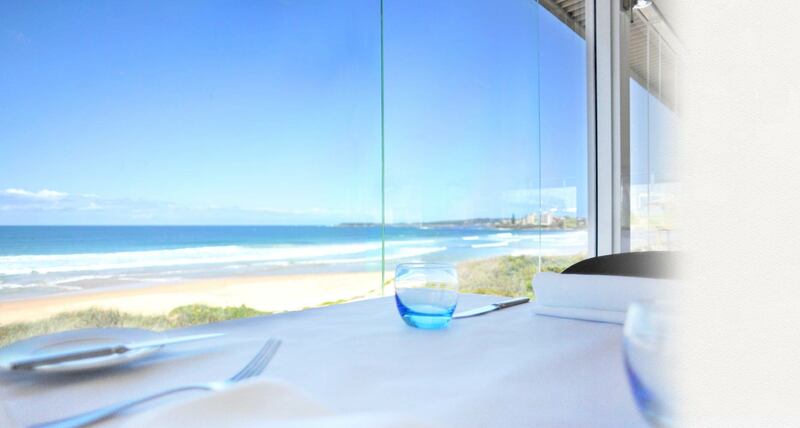 On the waters edge,Summer Salt Restaurant enjoys unbeatable beach and coastal views situated right in the middle of Cronulla's famous strip of white sandy beaches. Summer Salt Restaurant is a piece of the city with an unbeatable view of the coast. Whether it's a romantic dinner, a leisurely lunch, or swift business meeting, our stylish and intimate environment will certainly not disappoint. The beach chic modern interior is only outdone by the stunning floor to ceiling ocean views. 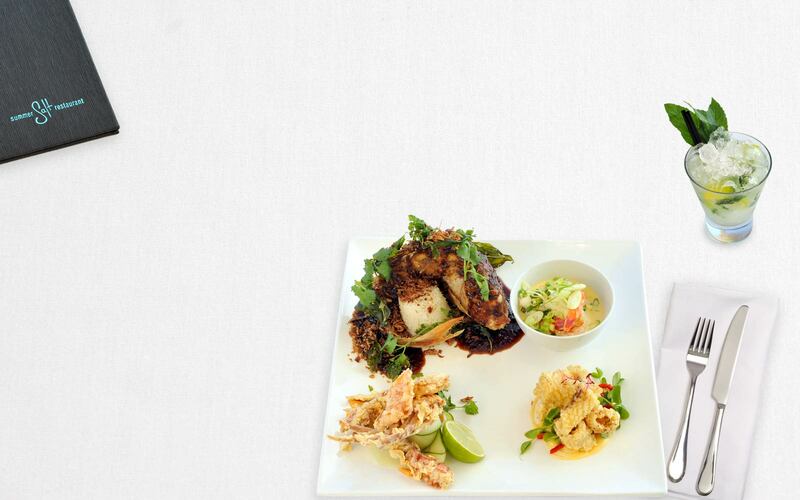 Summer Salt's cuisine can be best described as Contemporary Australian enhanced with Asian flavours. Executive Chef and Owner, Carl Jensen is no stranger to the 'Shire' and has been serving up his best Australian produce for over 30 years. Summer Salt’s menu is an eclectic balance of East meets West cuisine that synchronises the freshest seafood and prime quality cuts of meat with seasonal market fruit and vegetables. Changed quarterly, Summer Salt’s menu promotes the best of local produce, sourced only through the best local suppliers. Summer Salt’s menu is a reflection of his illustrious cooking career. Carl’s 25 years of experience and passion for food is epitomised in his signature dish, oven roast duck. A unique balance of timeless French cuisine and modern Australian techniques, Carl’s oven roast duck has won favour with Summer Salt guests. French born Sommelier Noel Sorrenti born and educated in the Loire region, has been described by food critics as being professional yet not pretentious and more recently as a fine wine guide, knowledgeable about not only French wines but also Australian and New Zealand Wines. Noël Sorrenti is passionate about matching wine with Carl Jensen's beautifully crafted food. huge windows offer expansive, stunning views of the ocean. At Summer Salt we endeavor to provide a memorable wedding journey from engagement to reception. Your wedding will be intricately attended to by your very own wedding coordinator who is trained and committed to providing a magical beginning to your lives together. Our dedicated commitment to service excellence along with our amazing venue and innovative wedding menu has earned us recognition as a leader in modern weddings. Elouera Surf Life Saving Club, Mitchell Road, Cronulla. - Go down the Kingsway into Cronulla. - Turn left at the end of the Kingsway into Elouera Road. - Go straight down Elouera Road and take the 4th street on the right, which is Bando Road. - Turn left at Mitchell Road and Elouera Surf Life Saving Club will be in sight. - Park, come in and enjoy! Please call us on (02) 9523 2366.
via our online booking form or email reservations@summersalt.com.au. To subscribe to Summer Salt’s e-news simply fill out your details below. A gift voucher makes the perfect gift as everybody loves to wine and dine! Gift vouchers can be arranged at reception for any given amount. You may phone ahead to organise a gift voucher and it will be ready to pick up when you arrive. Summer Salt Restaurant caters for those who require disabled access. There is a ramp for entry and a disabled toilet for your convenience. Summer Salt’s menu offers a range of options for those who have a gluten intolerance. Please click here to see our gluten free menu. Special thanks to Darlene Andrews, photographer.